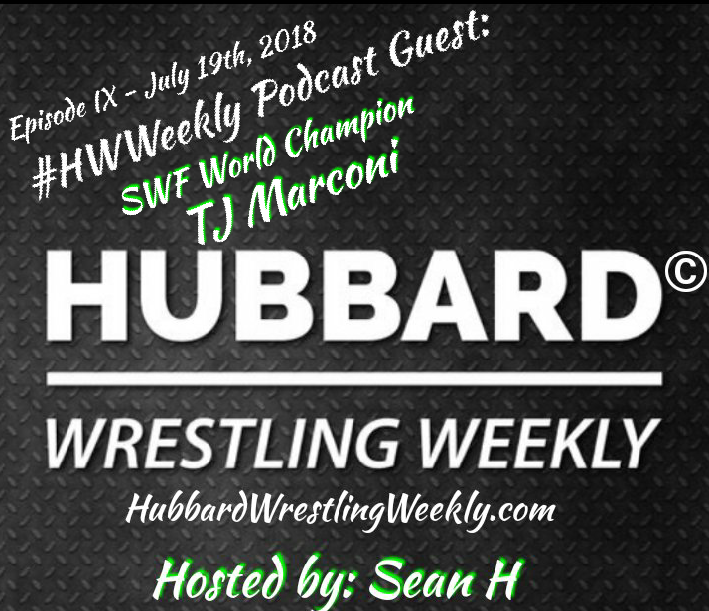 Just 2 days before an epic title defense of his SWF World Heavyweight Championship, TJ Marconi spoke with Hubbard Wrestling Weekly regarding how he got into the business, what made him love the business as a young child, how he worked on WWE Smackdown and how he plans on making his SWF and BWF World title reigns the most impressive championship runs in the business today. This is a SHOOT interview as Marconi talks about how some people in this industry are ‘haters’ and ‘fakes’ (You don’t want to miss this as he gives you a BIG HINT about a hater in a major wrestling promotion). This episode takes an in depth look at one of the best young talents in professional wrestling today, Public Enemy #1 TJ Marconi, and it all happens right here on show 9 of the HWWeekly Podcast. Click play right now, and after you listen, make sure you check the article section of hubbardwrestlingweekly.com and take a look at a previous interview HWW did with the reigning, defending SWF/BWF Heavyweight Champion of the World.